A number of my clients have asked about whether I would run a retreat - and finally after quite a search, a gorgeous Manor House in the Village of Alaro (Mallorca) will be the venue for a Yoga and Boxing Retreat from 13th - 19th of June (Thursday - Monday). The retreat is limited to 12 Max - please email me for bookings and further details. Each morning we will start our morning yoga sessions with hopefully sun salutations in the sun. 8am - 9:30 for a 90min Vinyasa Flow . A similar sequence will be practiced for the duration of the retreat - The morning practice will be a stronger flow. 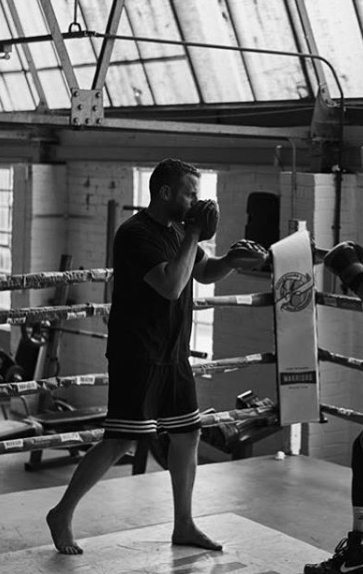 In the evenings a 60min stretch, pranayama and meditation will be taught for the perfect wind down to the day - some shoulder opening and leg opening to counteract the boxing will be included. Russell Abrams is the boxing coach. Russell is known for his ‘High Energy’ pad sessions and can tailor lessons to your skill level. I have personally found boxing to be a great compliment to yoga - not only does it provide great exercise to build arm strength its also just a massive stress release to “box it out”. Russell is a bit of a Rock Star in the MMA world and trains a couple of MMA super stars. His patience , coaching and skills has allowed to him to train beginners through to competitors. He is a yogi himself and sees the benefits that yoga offers his clients.